Micro-ATX motherboards have come a long way in the last few years: not so long ago you’d get mocked for attempting to build a powerful PC around such a board. 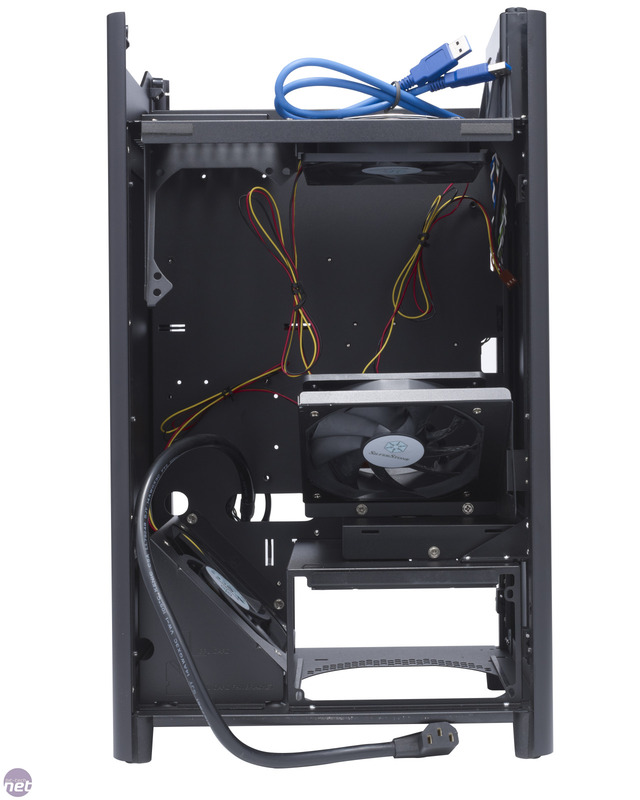 In fact, the traditional home of a micro-ATX board was in low-cost, low-maintenance office PCs. This is very much an attitude of the past, though, with boards such as the Asus Rampage III Gene proving that micro-ATX boards can be desirable. Meanwhile, the Gigabyte GA-P55M-UD2 shows that they can also be as overclockable as their ATX counterparts. As such, it's logical that we’re seeing more enthusiast-level micro-ATX cases coming off the production lines. Antec was one of the first to the party with its P180 Mini, and we’ve also seen the micro-ATX Define Mini case from Fractal Design. Most of these cases are just miniaturised versions of larger models, which makes them cute, but not all that innovative. 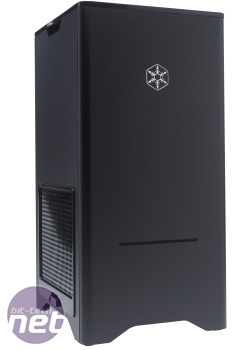 Thank goodness then for the SilverStone Fortress FT03, which has been designed from the ground-up as a micro-ATX case. The most striking element of the FT03 is its shape. 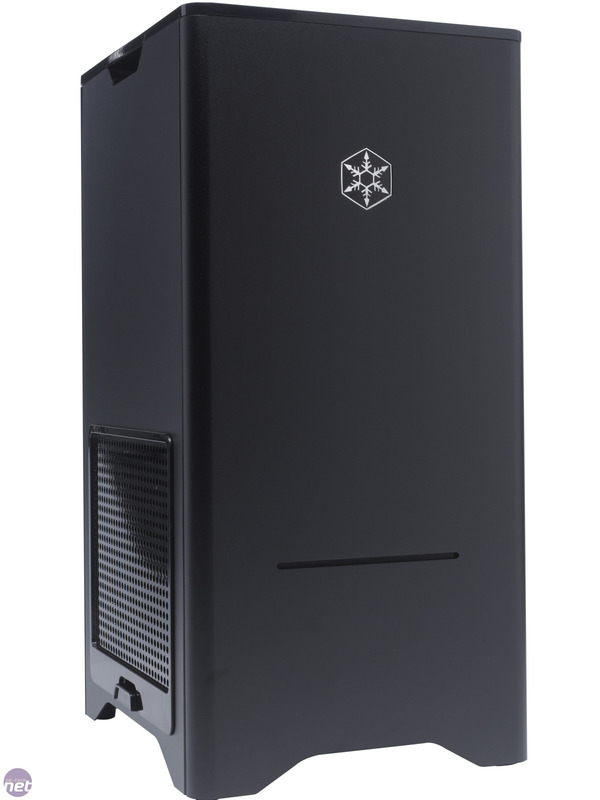 It’s columnar in design so it’s taller than it is long, which is unusual for a PC case. This also means that it appears to be standing up tall, rather than hunkering down to the floor, which makes the case more suited to sitting on a desk on show, rather than being squirreled away out of sight. It's well worth putting the case on show too, as its outer skin is made from beautifully tactile sand-blasted anodised aluminium, which looks stunning. It also did an impressive job of warding off fingerprints and other smears that metal cases can often pick up. Aesthetics have obviously played a major part in the design of the case as, from the front, the only feature that identifies the FT03 as a PC case is a small slit for a slim-line slot-loading optical drive. You’ll have to buy this yourself, though, which will add a little to the cost of your build as slim drives cost nearly double that of a regular 5.25in drive. 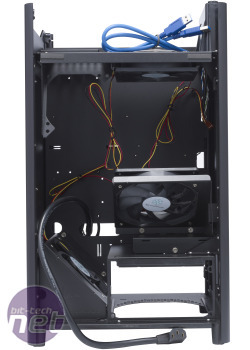 Meanwhile, the top of the case is dominated by a large removable plastic grille, which protects the motherboard’s rear I/O plate and stops you blocking the exhaust fan located there. You’ll also find the Power and Reset buttons on the top of the case, along with a pair of USB 3 ports and the standard microphone and headphone jacks. Annoyingly, the USB 3 ports link through to pass-through cables, though, and we’d really like to see case manufacturers using the internal USB 3 header now that these are becoming commonplace. The only side panel that shows any degree of venting or intake potential is the left-hand panel, which has another large, removable grille. Removing this grants access directly to the internals of the case, and also shows that only half of the grille is covered by dust filters. This peculiar arrangement is because half of the grille covers the PSU exhaust, while the other half covers one of the primary air intakes for the rest of the case.